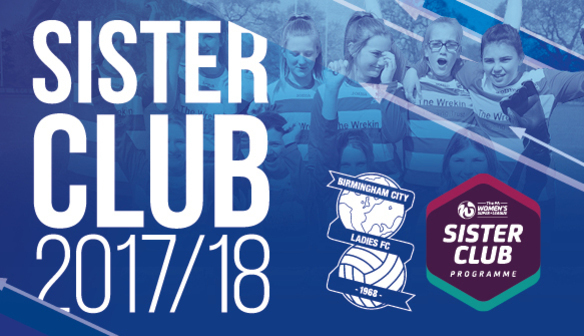 Birmingham City Ladies Football Club is proud to announce that five new grassroots clubs and schools have joined the FA WSL Sister Club Programme for the upcoming season. The programme, which is now in its third season, provides local grassroots clubs and schools with access to BCLFC match tickets, player appearances, coaching sessions, camps, mascot spaces and much more. The club welcomes Bartley Reds FC, Coalville Town Ravenettes FC, Cradley C of E Primary School, Pelsall Villa Colts FC, St Matthew’s C of E School and Wyre Forest Phoenix FC to the programme. 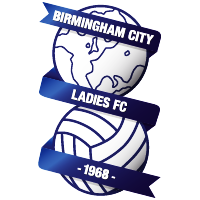 The programme has proven a real success over the past two years and has continued to expand with eighteen teams now affiliated to BCLFC as a Sister Club. Sister Club Programme Officer Kerys Harrop says: “I am delighted that we have been able to attract five more Sister Clubs to the programme this year. It is really pleasing to see that the programme is growing each year, increasing investment and allowing us to continually improve the programme for our new and existing Sister Clubs. I am excited to work with our new Sister Clubs for the upcoming season, and being able to provide more young, aspiring girl footballers with some fantastic experiences”. Bartley Green Schools Partnership, Bartley Reds FC, Bellfield Junior School, Coalville Town Ravenettes FC, Cradley C of E Primary School, Four Dwellings Primary Academy, Highfields Primary School, Inkberrow Eagles FC, Kingshurst Sporting FC, Pelsall Villa Colts FC, Percy Shurmer Academy, Redditch Borough FC, Ross Juniors FC, Shifnal Europeans FC, Solihull Moors FC, Solihull Sporting FC, St Annes Catholic Primary School, St John’s Juniors FC, St Matthew’s C of E Primary School and Wyre Forest Phoenix FC. There are still spaces available to join the programme, so if any girls’ grassroots clubs or schools would like more information about becoming a BCLFC Sister Club then please email Kerys at Kerys.Harrop@bclfc.com.